With halogen heating technology to ensure fast, precise and reliable results. METTLER TOLEDO is the expert in moisture analysis and offers a wide range of reliable moisture balances to suit the needs of quality control, production and in-process control. As a leading manufacturer of high-quality moisture analyzers and tools for infrared moisture meter performance verification such as SmartCal, we can offer a full moisture solution to ensure optimal moisture determination. We also have plenty of application knowledge and a world-class service organization. What is a moisture analyzer and how does a moisture analyzer work? A moisture analyzer is often also called a moisture balance or moisture meter. It consists of a weighing unit and a heating unit (infrared technology) and is used to determine the moisture content of a sample with the loss on drying principle. Today many customers use a moisture analyzer because they want to analyze moisture content using the fast and easy loss on drying method. Infrared moisture analyzers are versatile instruments that can be used in many industries, for example as moisture analyzers for food, plastics or wood. Food moisture meters are of particular importance as the moisture content influences the quality and shelf life of a product. To find out which is the best moisture analyzer for a specific application, different aspects have to be considered. Check out our moisture analyzer FAQ. Optimize your moisture analysis with the help of our moisture expertise. Profit from our tested moisture methods, wealth of know-how and widespread support. Fulfils highest measurement performance and compliance needs. Accurate and repeatable results for any sample type. Fast halogen heating and superior weighing performance with 0.001% MC readability. Suitable for low moisture contents. User management, method assignment and control limits. Performance testing at point of use. Printing and/or transfer of PDF and CSV reports to network servers through various interfaces. Compact and robust design that works for both laboratory and production. User-guided touchscreen operation. Suitable for a variety of samples. Graphical user guidance and method shortcuts for simple and error-free routine operation. Long instrument lifetime and reliable results in the lab and on the production floor. ID Management with barcode reader, result storage in device. Transfer reports to USB flash drive. Ideal for anyone working on a tight budget, but still requires reliable moisture results. Reliable moisture analysis for low requirements with regards to method flexibility and reporting. Tare sample pan, place the sample, close the lid and start. LCD display with large numbers for easy to read results in all light conditions. 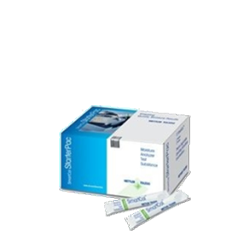 SmartCal™ test substance ensures trusted moisture results by verifying the performance of your moisture analyzer. As simple as a regular moisture measurement - takes only 10 minutes. Integrated control charts to monitor moisture analyzer performance over time. Test your moisture analyzer over the complete temperature range. Our comprehensive range of accessories and consumables for moisture analyzers enable accurate and repeatable moisture content determination. Our guide leads you through the important criteria to consider when purchasing a moisture analyzer. From interpreting technical specifications to understanding the functionality and performance of a moisture analyzer from a holistic point of view. Moisture affects the processibility, shelf life, usability and quality of many products such as pharmaceutical substances, plastics and foods. Information about and monitoring of moisture content is therefore very important. Most substances have an optimum moisture content for obtaining the best possible processing results and therefore attaining maximum quality. Furthermore, moisture content impacts on price and there are statutory rules for some products governing the maximum permissible moisture content (e.g. as defined by national food regulations). Moisture content is a key quality parameter in most industries, including food, chemical, and pharmaceutical industries. Moisture content determines the quality and the cost of raw materials; it affects product quality (e.g. shelf life) and often influences the financial margin of finished goods. Moisture is also a key parameter for process control in many production processes. For these reasons, monitoring of moisture content is very important. These moisture determinations need to be carried out rapidly and reliably so that any interventions in the production process can be made promptly, to avoid costly interruptions. Our collections of moisture analyzer drying methods provide you with recommended settings for many of the most common sample types according to market segment. Learn more about specific applications in which moisture analysis plays a key role. Background information on the topic is included and we explain how to use your moisture analyzer to best effect to overcome the typical challenges encountered. SmartCal is a unique, temperature sensitive test substance with known moisture content. Performed just like a regular moisture measurement it is used to quickly and easily verify the instrument’s overall functionality to ensure reliable moisture results at all times. The SmartCal User Guide explains in detail on how to use the SmartCal test substance for regularly testing the performance of a moisture analyzer. What is a moisture analyzer and how does it work? What is a moisture analyzer? How does a moisture analyzer work? What is the best moisture analyzer for my application? Which aspects do I need to consider when selecting a moisture analyzer? Why is the sample characteristic important for the moisture analyzer purchasing decision? What is the heating system of a moisture analyzer? What are the advantages of halogen heating? What is the best moisture analyzer for laboratory or production workers? Does the moisture analyzer offer support in finding the right method for my sample? Why is a fast and competent support or service important? Which moisture analyzer is recommended for best repeatability? What are important functionalities of a moisture analyzer when measuring many different samples? Do you recommend a special moisture analyzer model when different operators are using the same instrument? 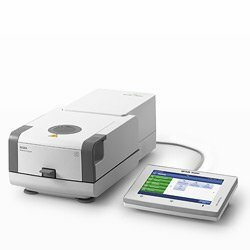 What is the best moisture analyzer for measuring moisture content (or dry content or total solids) in volatile samples? How does the moisture analyzer support me in being compliant to regulations such as USP, FDA, ASTM or 21 CFR Part 11? What is the best moisture analyzer for production environments? How important is the weighing unit of a moisture analyzer? Can a moisture analyzer test for water content? How fast is a moisture analyzer at determining moisture content? How accurate are moisture analyzers? 1. What is a moisture analyzer? A moisture analyzer determines the moisture content of a sample with the loss on drying method and consists of a weighing and heating unit (infrared). It is often also called moisture balance or moisture meter. 2. How does a moisture analyzer work? The Moisture Analyzer works according to the thermo-gravimetric principle, also often referred to as the 'Loss on Drying' (LOD) principle. The moisture analyzer consists of two components, a balance unit and a heating unit. In order to measure the moisture content the sample's start weight is recorded, afterwards a halogen lamp or other infrared radiator heats and dries the sample while the integrated balance continually records the sample weight. When the sample no longer loses weight the instrument shuts off and the moisture content is calculated. The total loss in weight is used to calculate the moisture content. 3. What is the best moisture analyzer for my application? Finding the right moisture analyzer for your application is not always easy. The best moisture analyzer is the one that fits to your specific requirements. Typically, requirements not only concern measurement performance but also other factors such as ease-of-use, data management capabilities, robustness (long instrument lifetime) and compliance features. METTLER TOLEDO offers a wide range of reliable instruments that cover basic, all-round and high-performance requirements. When selecting a moisture analyzer you need to look at measurement performance related specifications such as repeatability, readability and recommended moisture content. Ease of use, data management, and whether the instrument can handle the characteristics of your sample type are just some of the criteria to consider as well. 5. Why is the sample characteristic important for the moisture analyzer purchasing decision? Depending on the sample characteristics (e.g. solid, liquid, pasty, solvent containing), it is important to have the right method parameters available in the instrument and accessories at hand in order to obtain accurate and reliable results. 6. What is the heating system of a moisture analyzer? The heating source (halogen lamp, metal rod, ceramic, quartz lamp) and its regulation are defined as a heating system. All mentioned heating sources are infrared radiators. This means the sample is heated by absorption of infrared radiation. 7. What are the advantages of halogen heating? The most important performance factor is precise and fast temperature regulation, which is best delivered by halogen lamps because of their low mass and therefore fast reaction time. This ensures repeatable results starting from the first measurement (while some other heating sources either deliver different results in the first measurement or require a warm up measurement which is wasting time and resources). Furthermore, an even heat distribution on the sample surface is essential for repeatable and reliable results. We advise to ask the manufacturer for a demonstration and experience the performance in real-life. 8. What is the best moisture analyzer for laboratory or production workers? Typically, laboratory and production workers require an instrument which is intuitive to use and guides operators through the process. This ensures that users are following the right procedures thus preventing handling errors. Graphical user guidance, method shortcuts, user management and many languages are helpful instrument functionalities. 9. Does the moisture analyzer offer support in finding the right method for my sample? Using the right method for your specific sample is important for reliable and repeatable results. When you are a first-time user or when you regularly need to develop methods for new substances, then you can benefit from our Excellence Level instruments which offer integrated method development support to find the right method parameters. 10. Why is a fast and competent support or service important? Fast and competent service is important for many aspects throughout the lifetime of the instrument. First, you can profit from professional installation to have your moisture analyzer quickly installed and up and running. Second, preventative maintenance is key to your instrument's accuracy and longevity. Lastly, in case of a broken instrument, certified service engineers repair the moisture analyzer fast and reliably with the right skills and tools. With onsite repair METTLER TOLEDO service engineers minimize downtime and allow you to return to normal operation as fast as possible. METTLER TOLEDO is always available for you, whether you need a service for your instrument or expert support and know-how for your application such as support in method development. 11. Which moisture analyzer is recommended for best repeatability? The HX204 moisture analyzer is recommended. A high-performance weighing cell with 0.001% moisture content readability separated from the heating source ensures best moisture results even when measuring very low moisture contents. 12. What are important functionalities of a moisture analyzer when measuring many different samples? If you want to measure many different substances, we advise to use one method per sample type, even if you are using the same method parameters for different samples. Therefore, method storage capability of the moisture analyzer is important. Being able to store one method per substance and giving it a dedicated name not only improves the usability of a moisture analyzer but also allows for better documentation and reporting, e.g. sample name on print-out. In addition to that, you need to look at the method flexibility (the method parameter options such as drying program, drying temperature and switch-off criterion) to be able to optimize your drying method to each sample's characteristics. 13. Do you recommend a special moisture analyzer model when different operators are using the same instrument? Yes, there are three aspects which are important with regard to that topic: ease of use, unwanted changes and documentation. If you want to prevent operators from changing instrument settings or methods, you are able to block or allow access to settings with a configurable user management system. For reporting and compliance topics, it is important that the user name (or user ID) is documented on the measurement report. This is achieved with a user management system. 14. 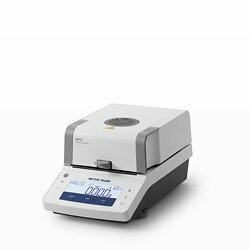 What is the best moisture analyzer for measuring moisture content (or dry content or total solids) in volatile samples? Samples containing volatile solvents require special instrument settings and handling as they may lose weight before starting the drying process. Fast heating may also result in rapid evaporation of solvents leading to potential condensation under the sample pan and accumulation of flammable gases. For safe measurements and good results, we advise the gentle drying program and manual start mode. Both are available in HX204 and HS153 moisture analyzers. 15. How does the moisture analyzer support me in being compliant to regulations such as USP, FDA, ASTM or 21 CFR Part 11? Basically, two topics are important with regards to compliance: data management and performance testing. Ensuring data integrity means that every result record needs to be attributable (who has done the measurement), legible (traceable, readable), contemporaneous (recorded at time of generation), original and accurate (correct, complete). Please keep in mind that an instrument is never compliant by itself but it can support the user in being compliant. The HX204 is the moisture analyzer for industries with the highest demands in compliance. It supports the user with safety and data integrity functions such as user management (prevention of changes & unique user log-ons), tailor-made reporting (including non-modifiable PDF reports) and with integrated performance testing of all relevant measuring systems (heating unit, balance, overall instrument test) at point of use. 16. What is the best moisture analyzer for production environments? The HC103 is a great instrument for production environments. It is intuitive to use and the operator is guided graphically step by step through the workflow. Tough metal housing and robust components guarantee a long instrument lifetime. Along with the space-saving compact design, this makes the HC103 a perfect choice for a harsh production floor. The HX204 and HS153 are also a good choice as they offer customizable control and warning limits for each sample. This integrated pass/fail decision is very helpful in the production area. In addition to that, the innovative hanging weighing pan and flat stainless steel surfaces allow fast and easy cleaning without the risk of dirt getting into the weighing cell. 17. How important is the weighing unit of a moisture analyzer? The weighing unit is important for a moisture analyzer as accurate weight measurements are required over the complete drying (measurement) process. It is key to avoid even minimal drift in the weight value, and temperature changes near the load cell are a common cause of such issues. Therefore, it is critical to protect the weighing cell from temperature changes. METTLER TOLEDO has many years of experience in designing and manufacturing high performance moisture analyzers with minimal drift of the weighing cell. In addition to that, the HX204 and HS153 moisture analyzers are constructed with the hanging weighing pan, which separates the heating source from the weighing cell and further improves performance. 18. Can a moisture analyzer test for water content? A moisture analyzer measures the content of all volatile components within a substance. It does not distinguish between water and other components. However, if water is the main moisture component or the other components are always present in the same proportion then the moisture analyzer might be suitable for such a measurement. 19. How fast is a moisture analyzer at determining moisture content? 20. How accurate are moisture analyzers? According to ISO 5725 Accuracy considers both the correctness and precision of a set of measurements. Correctness for a moisture analyzer describes to which extent the mean value matches the true value (value obtained by recognized reference method, e.g. drying oven method). Precision or repeatability is described as the extent to which results from a series of measurements (same sample, same conditions, same person etc.) match one another. Repeatability is expressed as standard deviation. For a moisture analyzer repeatability is typically more important than correctness. 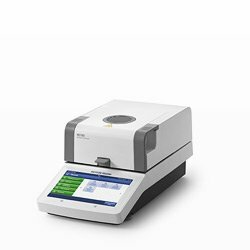 METTLER TOLEDO moisture analyzers stand out with excellent repeatability, both in technical specifications and in real life performance. For common samples such as food products, a standard deviation of about 0.05 %MC is achieved which is comparable to the typical precision of the drying oven method. With special settings and handling even better repeatability is possible. Moisture affects the processability, shelf life, usability and quality of many products such as pharmaceutical substances, plastics and foods. Information about and monitoring of moisture content is therefore very important. Most substances have an optimum moisture content for obtaining the best possible processing results and therefore attaining maximum quality. Furthermore, moisture content impacts on price and there are statutory rules for some products governing the maximum permissible moisture content (e.g. as defined by national food regulations). To find your application use the filters for 'Sample', 'Industry' or use full text search. Any combination of filter and full text search is possible. Note that the full text search yields only matches that include the exact word sequence of your query. The moisture application specialists of METTLER TOLEDO have developed more than 100 methods for various samples to use on METTLER TOLEDO halogen moisture analyzer. These proven and well-tested methods will help you to get repeatable and quick results with our moisture analyzers. The 'Application Search' allows you search through the database and find the application that best suits your needs. For each method we provide a PDF Datasheet and an xml method file to import the respective method parameters into your instrument (HX204, HS153 and HC103 only).